Orienting hexes for Linear Warfare, opinions? Contemplating my 4" hex grid cloth and trying to decide the best way to use it for linear warfare such as the AWI and Darke Ages. The Portable Wargame recommends using squares for this purpose, but I have this great hex cloth I want to use! So, anyone with hex grid miniature gaming have any advice? 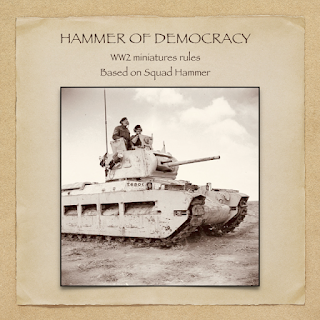 I see two options, here are examples using my 6mm AWI troops. Like this, but the disadvantage is that you cannot make a continuous line. This option was inspired by the excellent Tigers at Minsk rules by Norm at the outstanding Battlefields and Warriors blog. In this scenario, assuming a musket range of 2 hexes, the Patriots get 2 shots off at the British, which is exactly what they get in the non-hex version. But in principle, you can see how it would work. I am leaning heavily towards this option. Here is what moving and arcs of fire would look like, facing changes are done inside the hex at the start and or end of the move like in One Hour Wargame. The black arrows show 1 hex movement and the red outline shows 2 hex range target hexes. Opinions? Am I cracked? Thanks for looking, good gaming! UPDATE: I found the source for this technique HERE and he does a much better job! Pesky real life has been taking up my time, so I have not updated in several weeks, but I have been keeping a few hobby projects going in the background. 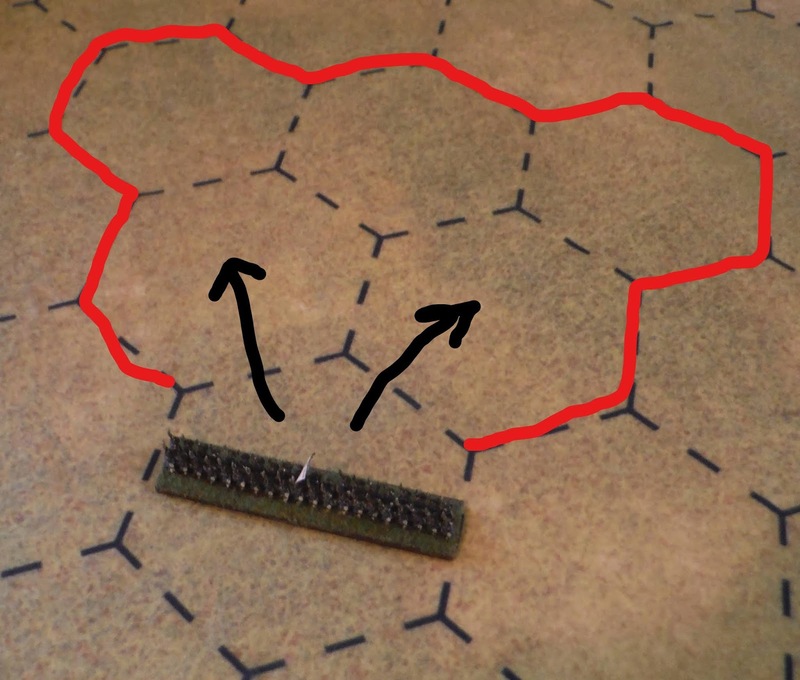 Inspired by The Portable Wargame, Developing the Portable Wargame, and One Hour Wargames, I have been making hex compatible terrain for use with my Cigar Box 4" hex grid mat. One of the terrain feature you need in quantity is forests and as I will be playing with 6mm and 3mm figures, I turned to my trusty friend the grout sponge, which I have used before for making forests for 6mm. You can see another method at the Storm of Steel Blog as well, but this is my cheap and fast method. Disclaimer: I did NOT come up with this method, I saw it on a blog or forum somewhere and cannot remember the source. If you originated this, please take credit! I cut each sponge in half as they are pretty thick. I then use a plastic 4" hex I bought off of Amazon (I think quilters use them), but any hex template will do, and cut the sponges into rough hexes. You do not have to be precise as you want them slightly irregular. I managed to get 4 hexes from each sponge. This gets a little messy. First I used the scissors to shape the edges off of the pieces and then I used the needle nose pliers to pluck out chunks of foam to give each piece a more irregular forest like appearance. Remember you are making forests, not trees. Do this somewhere you can clean up easily, as it generates a lot of little pieces of sponge. Spray paint the pieces. I mean really get in close and spray paint the heck out of them. I did 2 coats, as the pieces soak up the paint, well, like a sponge. Let dry thoroughly. Let dry! Then the pieces are ready to use and are darned near indestructible. If not using hex terrain, you can do as I have done for my other games and make smaller or larger chunks as you see fit. I hope this is helpful. Meanwhile, I am working on a few odds and ends, including a historically accurate set of hex based rules for the Ruritanian-Elbonian War of 1925. Until then, good gaming!